In lieu of flowers, memorial donations may be made to the American Heart Association and left at the funeral home. 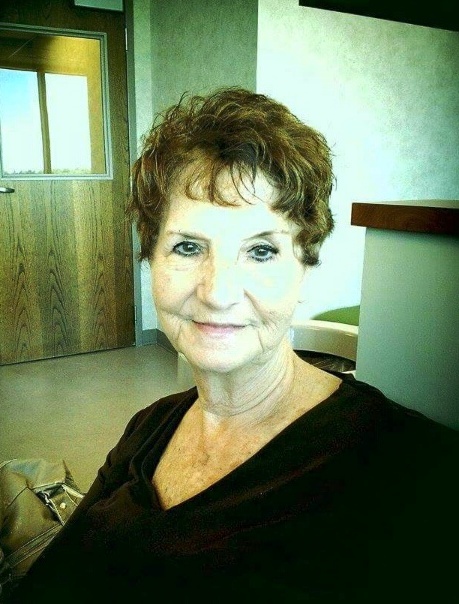 Lita Faye Keith, age 76, of El Dorado Springs, MO, went to be with her Lord on April 27, 2015. She was born on May 20, 1938, to Theo and Irene (Leonard) Vittetoe in the small town of Pacetown, MO. Faye was a very loving person to her family and friends, yet could be very stern if she thought you were attacking her God or her family or if you were doing something wrong. Preceding Faye in death were her parents, Theo and Irene Vittetoe, and one brother, Charles Vittetoe. Survivors include her husband, Frankie Keith, of the home; daughters: Bridgette Keith of El Dorado Springs, MO, Devonna Sheehan and husband, Gary, of Neosho, MO, and Debbie Hargrove of Nevada, MO; step-daughters: Julie Keith of Nevada, MO, and Judy Cambridge and husband, Brian, of Lovington, IL; grandchildren: Nathaniel Sheehan, Seth Sheehan, Patrick Sheehan, Shawn Hargrove, and Shandy Hargrove; step-grandchildren: Bailey Keith, Kylie Hoenshell, Hannah Hoenshell, Colleen Thomas, Kelsey Thomas, Kyle Thomas, Jacob Cambridge, and Griffin Cambridge; brothers: Curtis Vittetoe and wife, Arlene, of Oak Grove, MO, and Clifford Vittetoe of Lamar, MO; sisters-in-law: Glenda Vittetoe of Independence, MO, and Ruth Foreman and husband, Roy Lee, of Walker, MO; several great-grandchildren, nieces, nephews, and cousins. Faye also leaves behind a large church family at the Church of God (Holiness) in El Dorado Springs as well as her work family, both past and present, at the Witt Printing Company. Faye will be deeply missed, but we hold on to the knowledge that she is with her mom and dad and her little brother, Charlie, whom she loved so much. Most of all, we rejoice that she has no sorrow or pain, for she is with her Lord and Savior Jesus Christ. Funeral services for Faye Keith will be held Thursday, April 30, 2015, at 10:00 a.m. at the El Dorado Springs Church of God (Holiness) with Rev. Joe Trussell officiating. Interment will follow at White Hall Cemetery under the direction of Bland-Hackleman Funeral Home. The family will receive friends on Wednesday, April 29, 2015, from 6-7 p.m. at Bland-Hackleman Funeral Home. Pallbearers will be: Shawn Hargrove, Nathaniel Sheehan, Seth Sheehan, Patrick Sheehan, Kyle Thomas, and Jacob Cambridge. Griffin Cambridge will be an honorary pallbearer.